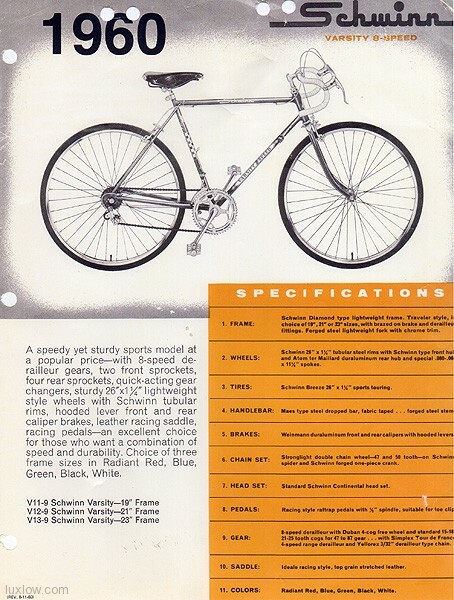 The 1960 Schwinn Varsity is probably one of the most important collector bicycles, as this 8 Speed Schwinn Racer started the Lightweight Revolution in America. 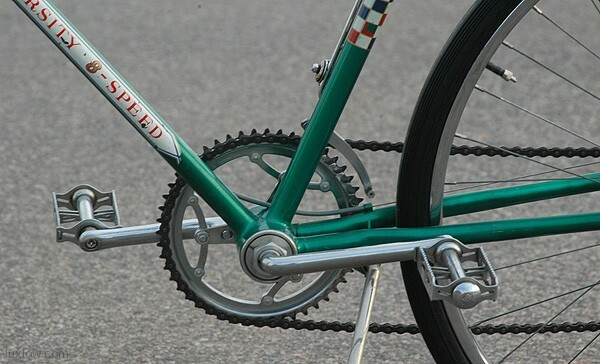 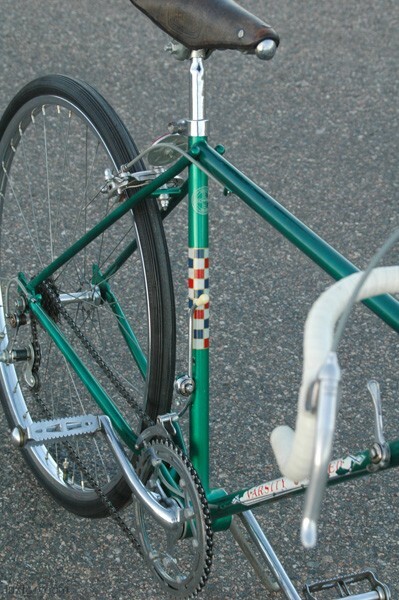 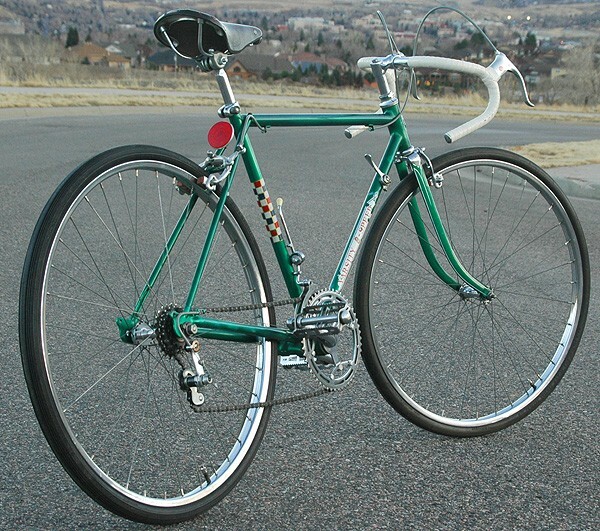 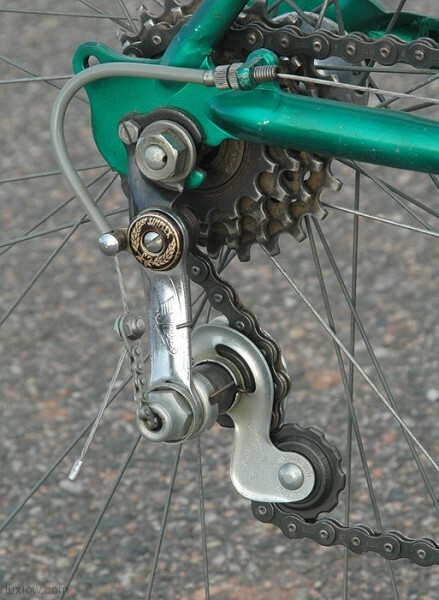 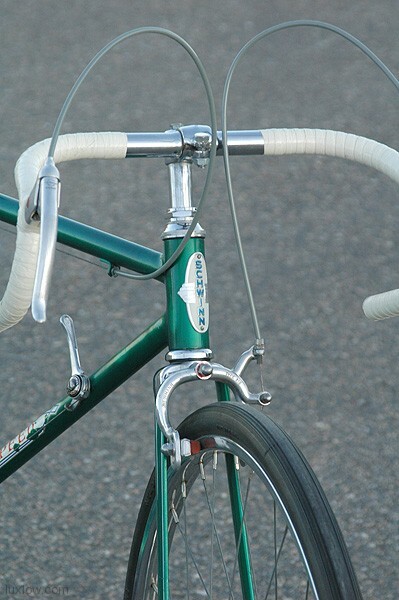 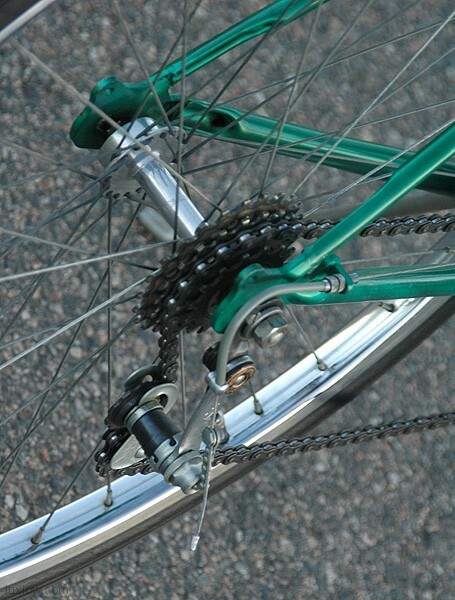 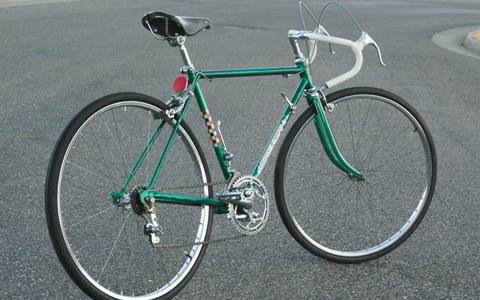 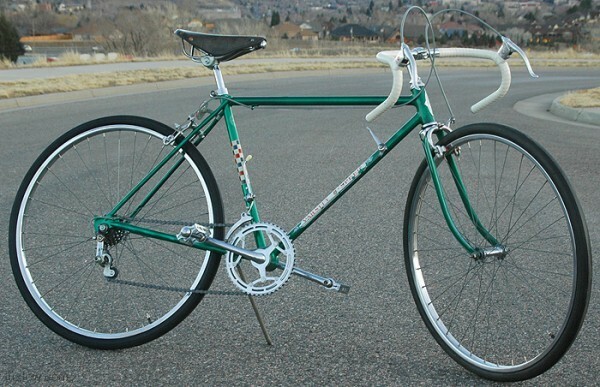 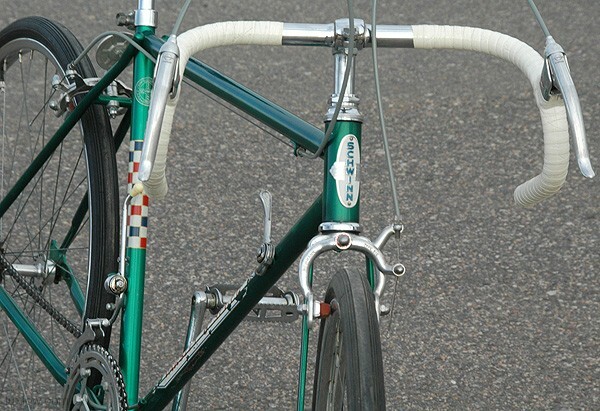 This 100% Original example of Schwinn’s First produced Lightweight Road Racer offering 8 Speeds, with unique early rod lever operated front and telescoping rear Simplex Derailleurs. 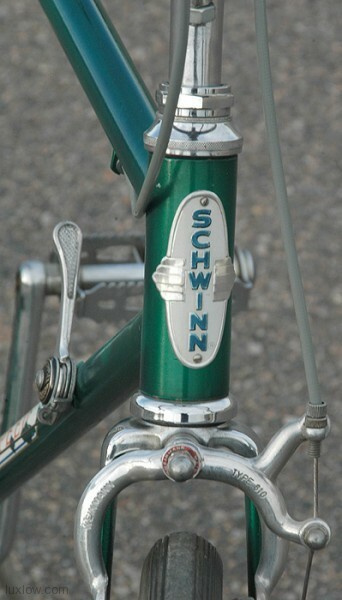 Previous Multi speed Schwinns had 3 Speed interplanetary touring set ups. 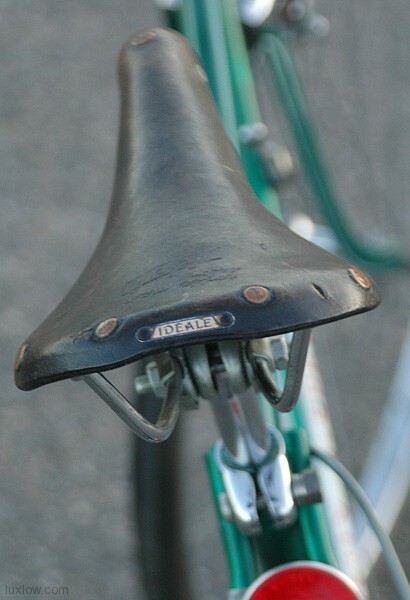 The 1960 Varsity also offered drop racing bars, a Leather Ideale Saddle, Weinmann Brakes, Rattrap Pedals, and 26″ x 1 1/4″ S-6 Steel wheels. 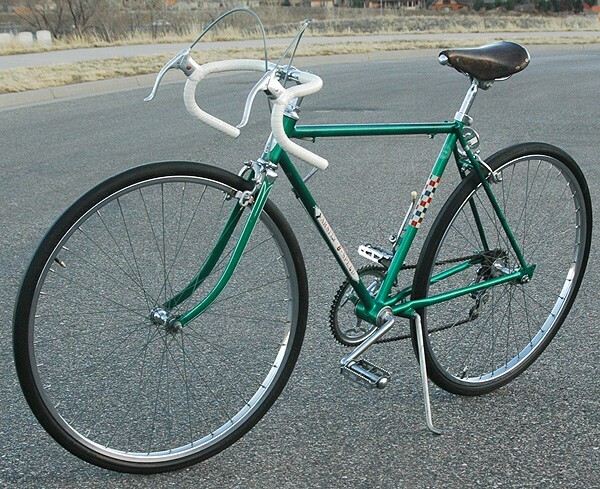 The 1960 Varsity came in 3 frame sizes: 19″,21″, and 23″ and in the colors Radiant Red, Green, Blue, White, and Black. 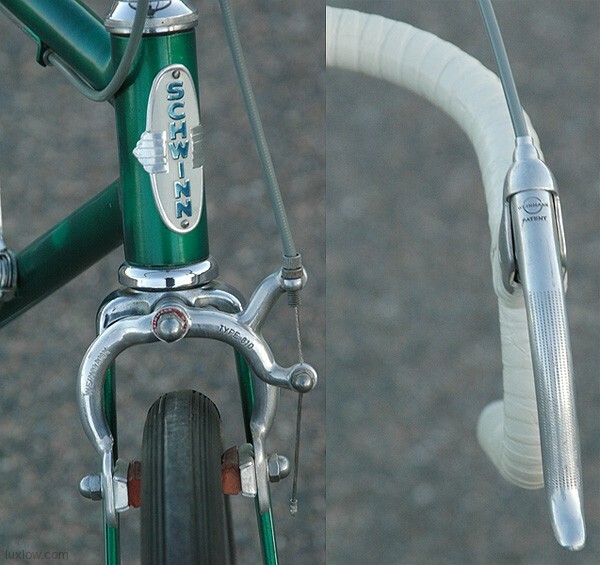 This 1960 Schwinn Varsity is Rebuilt and Restored, Ready to go with Patina Intact, although it’s Not a Lux Low Patina Restore. 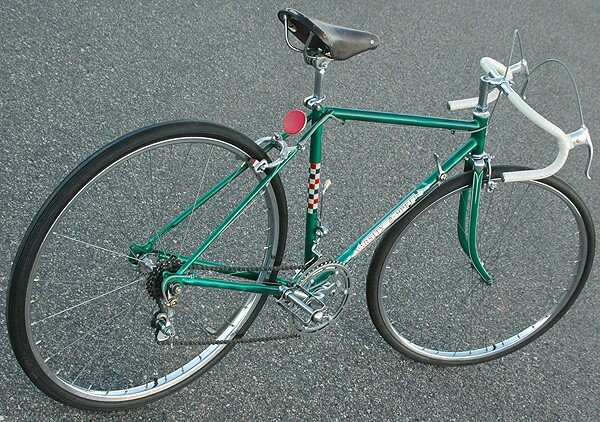 The bike came from a Respected Collector / College who was a long time Schwinn Dealer and the effort and restoration of this bike is top notch. 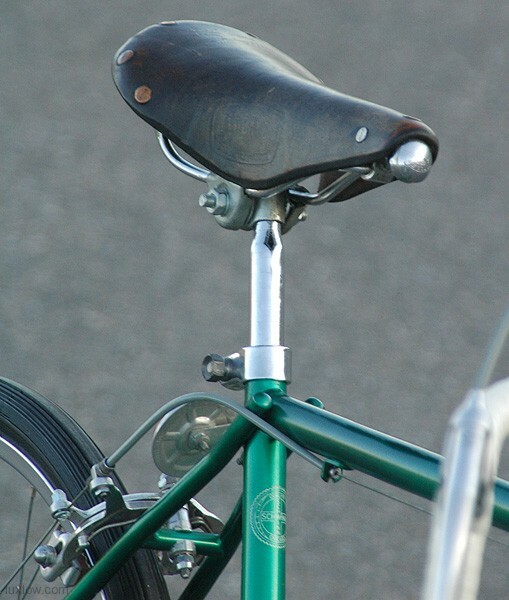 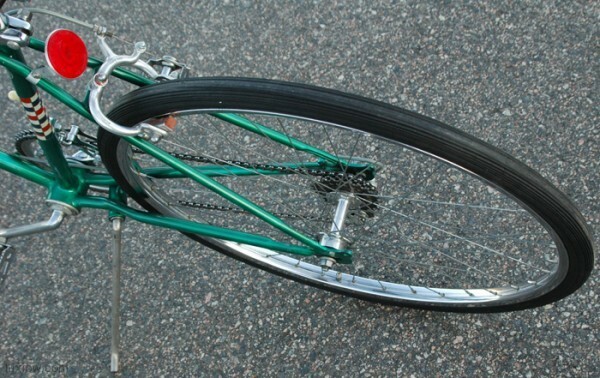 The Bike is a 19″ Model which measures 19″ or around 48cm from the center of the bottom bracket to the top of the top tube. 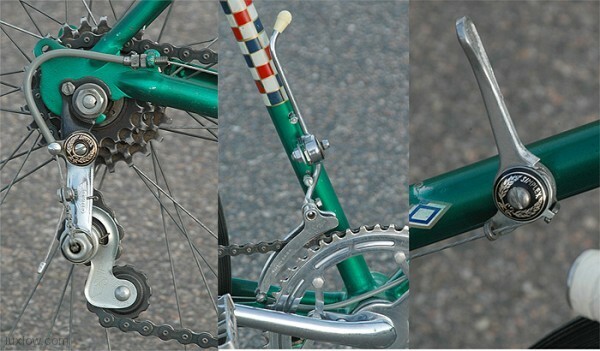 The Bike is immaculate and is 100% Correct. 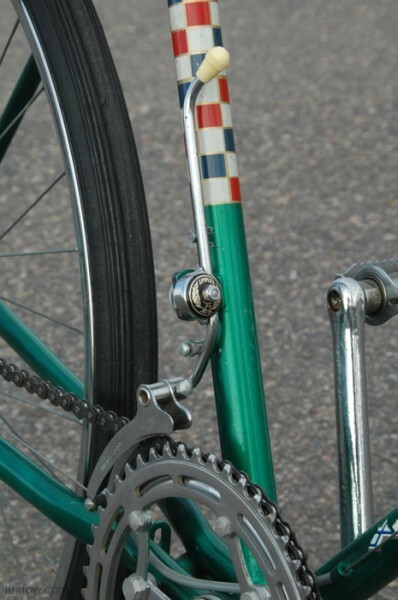 The paint is pretty decent but has some touch up that is almost impossible to see. 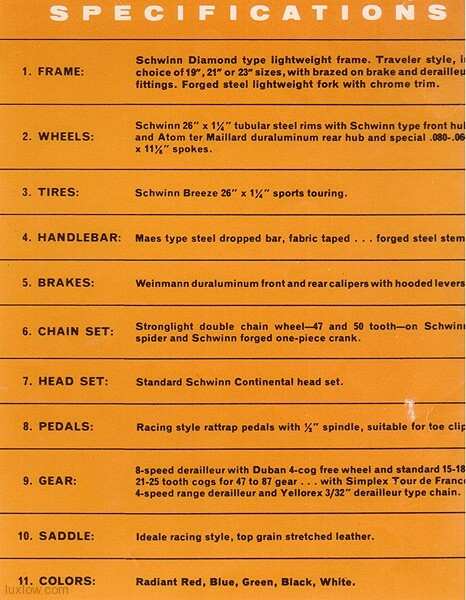 This is a wonderful piece of history and would make a great addition to any Schwinn Collection. 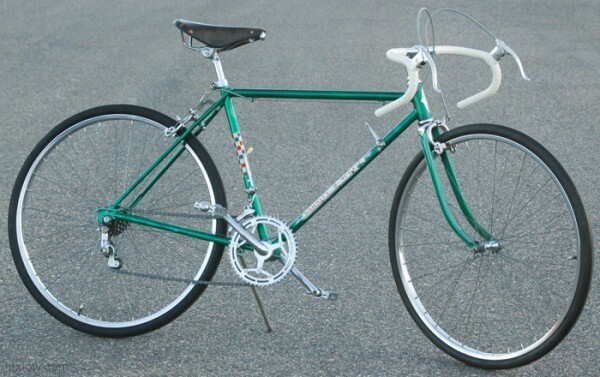 Non Local Sales: You will be billed through Paypal and Shipping is: $120 for this bike to most of the US.